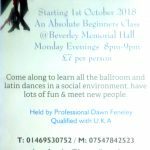 £7 – Absolute Beginners Class. – 8pm till 9pm. 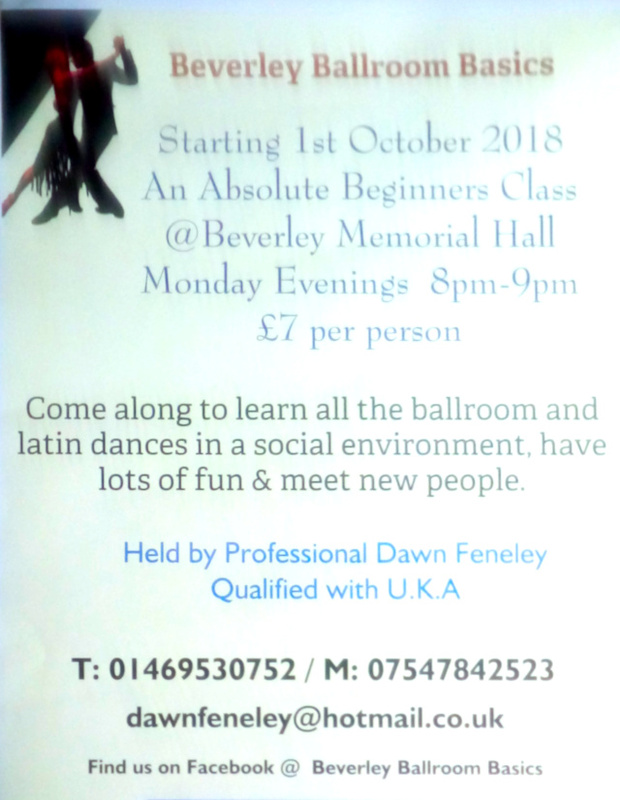 Come along and learn all the Latin & Ballroom dances in a social environment, have lots of fun and meet new people. 1 hour of dance tuition by qualified dance tutor. Contact Dawn Feneley for more details.